An FDIC on-line tool is available to help educate consumers how to better protect their computers and themselves from identity theft, and steps to take if they have been victimized. The Consumer News & Information is on the FDIC’s website. Check it out for valuable consumer alerts and information to help you manage and protect your money! Click here for this very informative article. 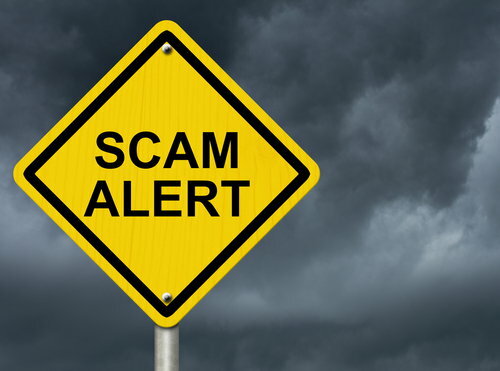 We have had reports of customers receiving phone calls purporting to be from Commerce Bank requesting information on checking account & debt cards. PLEASE KNOW THAT COMMERCE BANK WILL NEVER CALL YOU OR SEND YOU AN EMAIL TO REQUEST PERSONAL INFORMATION OR NUMBERS FROM YOUR CHECKING ACCOUNT OR YOUR DEBIT CARD! 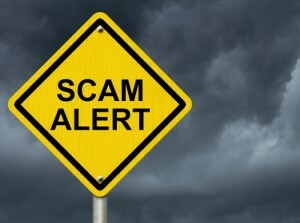 IF YOU RECEIVE SUCH A CALL OR EMAIL DO NOT RESPOND AND PLEASE CALL COMMERCE BANK IMMEDIATELY AT (662) 286-5577. Certain attachments and links could infect a personal computer with viruses, worms or Trojan horses that allow criminals to capture keystrokes or other confidential information. “Pharming” is completed by domain spoofing. The attacker poisons a commercial entity’s Domain Name System (DNS) server and routes traffic to another location which the attacker has created. “Pharming” can be harder to detect because the domain name looks to be correct. Review your account statements regularly, online or on paper. Never click on links in a suspicious email. Instead, open your browser and enter the web site’s domain name (e.g., www.commercebk.com). “Patch” your computer operating system (Windows) and any other applications regularly to close security holes that might be exploited. To order your free credit report, visit annualcreditreport.com, call 1-877-322-8228 or complete the Annual Credit Report Request Form and mail it to: Annual Credit Report Request Service, P.O. Box 105281, Atlanta, GA 30348-5281. The form is available at http://www.consumer.ftc.gov/articles/pdf-0093-annual-report-request-form.pdf. Do not contact the three nationwide credit reporting companies individually. They are providing free annual credit reports only through annualcreditreport.com, 1-877-322-8228 or by mailing the Annual Credit Report Request Form. You may order your reports from each of the three nationwide credit reporting companies at the same time, or you can order your report from each of the companies, one at a time. The law allows you to order one free copy of your report from each of the nationwide credit reporting companies every 12 months. If you have responded to such an email and provided information about your account(s) with the Bank, the you should call the Bank’s main telephone number (662) 286-5577 for assistance. Source: IT Auditing for Financial Institutions, written by Jimmy Sawyers and published by AlexInformation and the Federal Trade Commission website.